The mountains have been Rolo’s safe haven since he was a kid growing up in northern Patagonia. He’s been climbing in Patagonia just shy of three decades, and though his passion has shifted over the years, spending time in nature continues to be the one constant that makes him content. 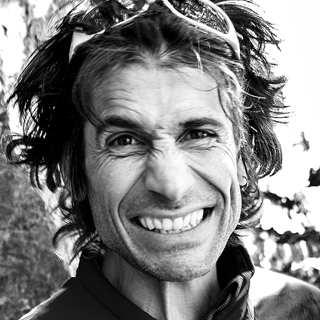 He’s a guide, co-author of a guidebook to the area, Patagonia Vertical; and creator of the online climbing guide pataclimb.com. These days he splits his time between the town of El Chaltén in Argentina and the Dolomites in Italy.